For many communication service providers (CSPs), their video platforms were built when online video was new, but since then consumer demands for video content have skyrocketed. These platforms cannot scale to meet current demand at the right price – especially if live services and other advanced features are being offered. Today, the legacy systems cannot keep up. Complexities and limitations in current architectures, high operational costs, and poor video quality are just some of the challenges facing today’s operators and content providers. Their legacy systems were built with multiple vendors and inflexible processes, and they are unable to cope with the fast introduction of new video services and often cannot provide anything better than moderate video performance and a substandard features set. 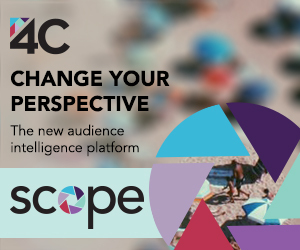 Poor performing legacy platforms mean that CSPs and content providers are having difficulties supporting the scale required for today’s video OTT demands yet alone being able to meet the requirements to support the further growth predicted for the future. A lack of real-time analytics makes it difficult to know how video is being served to end users and what actions are required to resolve performance issues, whilst uncertainty about the best business model to adopt means that new projects or upgrades are delayed. To meet the demands of today’s video-hungry subscribers, operators and content providers need video OTT and CDN platforms that are based on software architecture that is open, agile and has the capability to scale to peak demand within seconds. The ability to add new features or services within days rather than months is now vital. Deep learning algorithms that use predictive modelling improve video delivery and user experience whilst, in some instances, halving the network resources required. According to Ericsson Mobility report (June 2017), mobile data traffic grew 70% between Q1 2016 and Q1 2017. This requires the implementation of new network architecture such as Multi Access Edge Computing that is vital to optimise delivery, storage and processing at the mobile network edge. Global Virtual Reality traffic, according to Cisco’s VNI report, will increase 61-fold between 2015 and 2020. Therefore edge computing is now essential for the introduction of new video services such as VR, AR, 4K, HDR, HFR, live events, personalized advertising and users’ generated content. With 73% of all Internet video traffic predicted to cross content delivery networks in 2020, service providers who want to be around in the long term need to act fast. For a start, they need to own the delivery platform and use advanced, open and scalable CDN technologies that work across both fixed and mobile networks. This will enable them to rapidly scale to peak demand at the right cost without dependency on external and shared CDNs that are challenged to guarantee performance at the right cost, especially with linear and 4K delivery. According to Unisphere Research’s OTT Video Services report, 26.8% of survey respondents raised concerns about the quality of service and quality of experience provided to end users. This is almost double that of the second technical concern. Service providers should now utilize open, agile and scalable software platforms not only for their CDN, but also for their CMS, content preparation workflows, and performance and marketing analytics. Quick deployment and scalability are critical. Deploying a new platform should be quick and stress-free, and shouldn't take more than a few weeks. And once deployed, any changes, such as launching new services or projects, should take only a matter of days. The future of OTT is already here. Service providers need to future-proof their video delivery by deploying a unified video OTT software architecture that will prepare them to meet any demand for video, and to be equipped to introduce new services such as live 4K and VR, low latency OTT, nDVR and other advanced video services. OTT players should not be failing subscribers, but they are. Strategically, video is important to keep customers subscribed and engaged, but the operators are in danger of having neither. They must look to creative business models for video and to new on-premise and hybrid implementations that reduce costs and increase the speed of implementation. There are ways for operators to increase both their profits and the user’s video experience. But if they do nothing, then for many it may be end of video OTT as we - and they - know it.